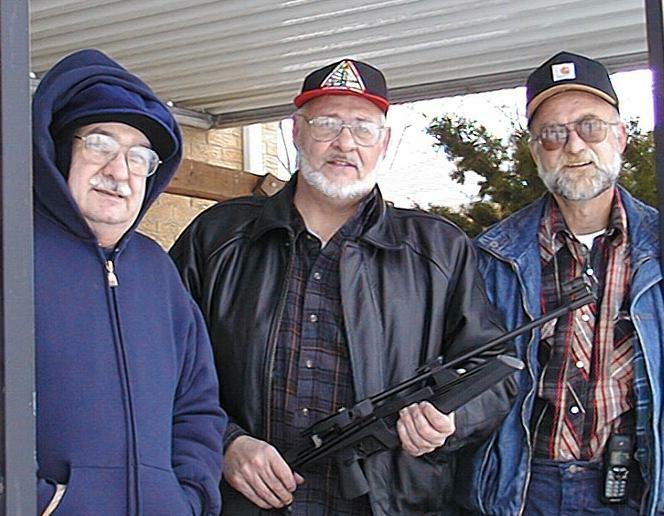 Can-Manglers of Ohio Air Gun Club! The goal of this site is to raise funds for our club. We are a brand new club in southwestern Ohio and are attempting to increase our membership and activities. We hope our club will grow to be one of the most active air gun clubs in the United States. 1. To obtain funds to make available gun safety courses to young men and women to increase the level of attention to our sport of air guns. We plan on buying some rifles and pistols to use in these courses and thereby encourage people to use air guns as a means of keeping their shooting skills sharp year round. 2. To provide quarterly Field Target Competitions in our area to again increase the membership and activity of competition. 3. In accomplishing the above 2 goals, we will then be able to expand our activities to more areas of community focus issues of gun safety, gun education, and thereby provide a more positive image of air guns to our community. On the following page you will find a number of banners advertising a number of online companies you all may have seen before. If you click on these banners and visit these sites, we will make a few cents for each click through. Some of the sites are ones you may want to do business with online or may have already. If you buy from these sites using these links, we will be given a commission from your purchase. All these funds will go towards Can-Manglers of Ohio Air Gun Club. We hope you choose to assist us by clicking on these links on the following page. If you choose, you may visit these sites once per day in order to help us raise funds. Be sure to let sites fully load that you visit from our banner page.